We saw President Donald Trump got possessed with the rest of Washington DC in Suicide Squad #39 by The Wall. And, you know, in the comments a lot of people were okay with that. 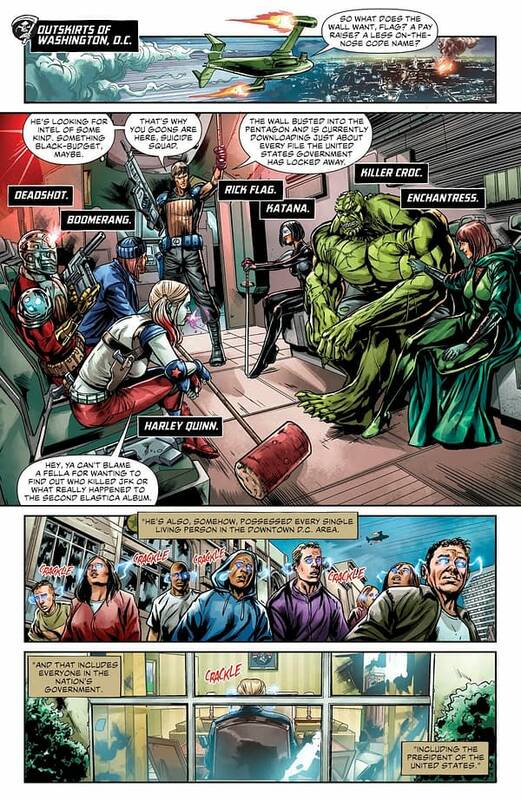 But in today’s Suicide Squad #40, well first there’s the threat that we finally might get to see the Suicide Squad: Black Files mini-series that was cancelled when a DC Comics executive read Bleeding Cool and realised they were about to use Neil Gaiman‘s Sandman characters without asking him and the Sandman Presents series was in the works and, seriously, who green-lit this to solicitation? Do it, Hack/The Wall, I want to see those Doctor Endless stories… but before they get the chance, it all gets sorted out one way or another. 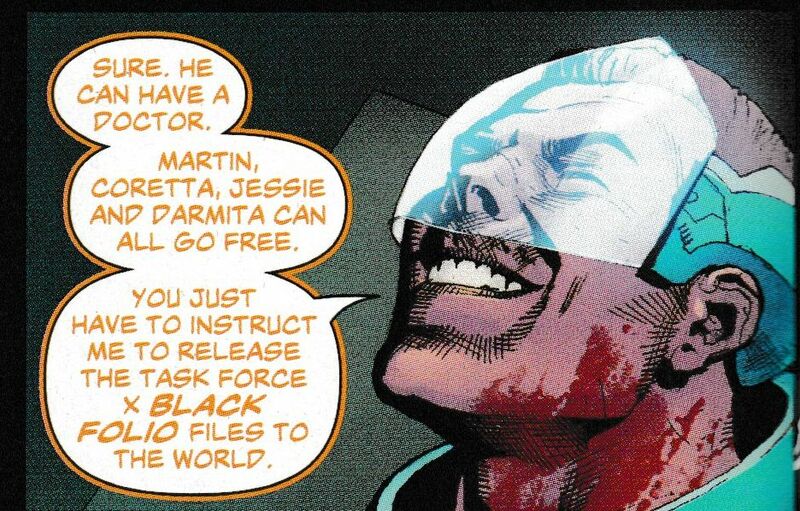 And Amanda Waller finds a reason to be grateful for her President. They could use that as a campaigning campaign for 2020, don’t you think? 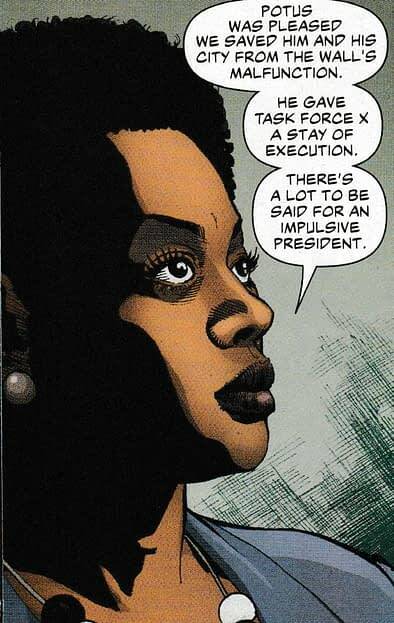 ‘There’s a lot to be said for an impulsive President’ – Amanda Waller, Suicide Squad. Hercules – Back On The Wagon in Avengers #690?